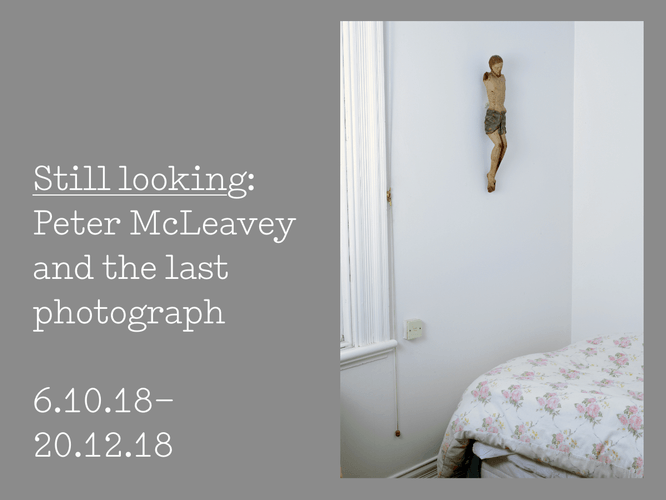 Join us for the opening and publication launch of 'Still looking: Peter McLeavey and the last photograph', an exhibition comprising over 90 photographs from Peter McLeavey's personal collection including important works by several key figures in the history of photography, curated by Geoffrey Batchen and Deidra Sullivan. Documentary filmmaker and early advocate of photography as a fine art medium, Luit Bieringa will open the exhibition. During the evening we also celebrate the opening of Solid State: Works from the Victoria University of Wellington Art Collection, curated by Sophie Thorn, and will announce the winner of the 2018 Chartwell Trust Student Art Writing Prize.